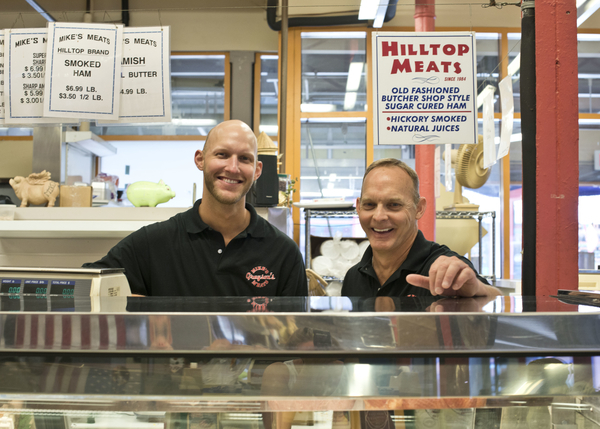 Ken Sillies has been around Findlay Market for more than 20 years, first as a sales rep for HMI Distributors, before moving behind the counter at Eckerlin's. Now he's the proud new owner of Mike's Meats. He's grateful to Mike Bender for making the transition such a smooth one. 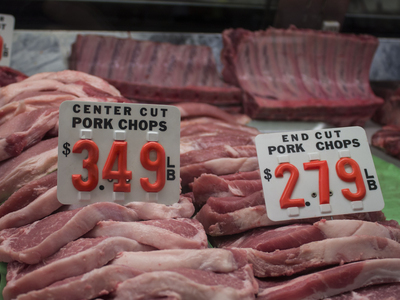 Mike's Meats is the place to go to feed a big family on a little budget. He's got all the right food when you want your kids to clean their plates: corn dogs, meat patties, chicken nuggets, frozen veggies, ravioli, homemade ham salad, egg rolls, fruit-flavored drinks, and a choice of about a half dozen different kinds of cake for dessert. 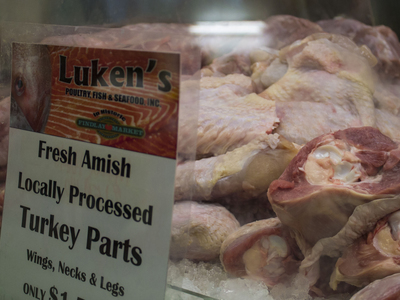 A trip to Mike's Meats can get you stocked up on many basic grocery items too, like Amish cheese and butter, sliced bread, and deli meats. Pick up some of his cranberry chicken salad while you're there, it's the bomb!